Graphic by Will Pearson for The Triangle. 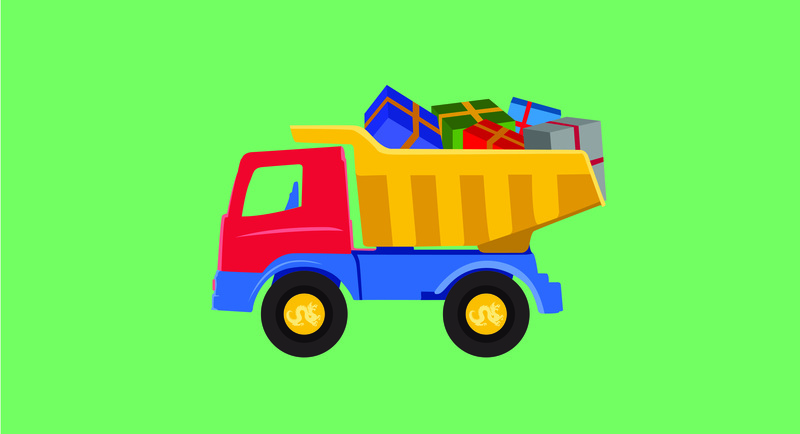 Over 70 community organizations are expected to benefit from this year’s 22nd annual Holiday Toy Drive held by Drexel University’s Office of Government and Community Relations. Last year, over 5,000 toys were given away; this year, Drexel is looking to donate more than that, according to Dimitrios Boufidis, director of business and city affairs for Drexel’s Office of Government and Community Relations. Boufidis said that the organizations that will benefit are located all over the city, but most are located in North and West Philadelphia. Some of these organization include the Dorothy Mann Center at St. Christopher’s Hospital for Children and the People’s Emergency Center. “Every little bit helps and is so appreciated by the community. While donating something as small as a deck of cards might not seem like much, it will be one more gift for a child to open who might not normally receive any presents during the holiday season,” Boufidis told The Triangle via email. Collection boxes have been available since late November and will remain so until Dec. 18. These collection boxes can be found on the University City, Queen Lane and Center City campuses. Exact locations include the Office of the President in the Main Building, the Recreation Center lobby, the lobby of the Bellet Building, the New College Building lobby, the Queen Lane lobby and the 10th floor of the 3 Parkway Building among others. In addition to donating toys, interested community members can help bag the toys on Dec. 6 and 7 from 11 a.m. to 1 p.m. in the Great Court of the Main Building. The toys will be bagged in eco-friendly materials. Also, refreshments will be served. For those who would prefer to use a bank card to contribute to the Annual Holiday Toy Drive, donations can be made online.